New Beer Announce: MF Donkey Stout - Founders Brewing Co.
Posted on September 5, 2018 by Founders Brewing Co.
What could the third release in our taproom Mothership Series be? Hint: Mackinac Island Fudge. Coffee lovers, this one’s for you, straight from the mind of our R&D Brewer. We reached out to our local coffee-roasting friends at Ferris Coffee & Nut for the featured ingredient: copious amounts of Mackinac Fudge coffee. 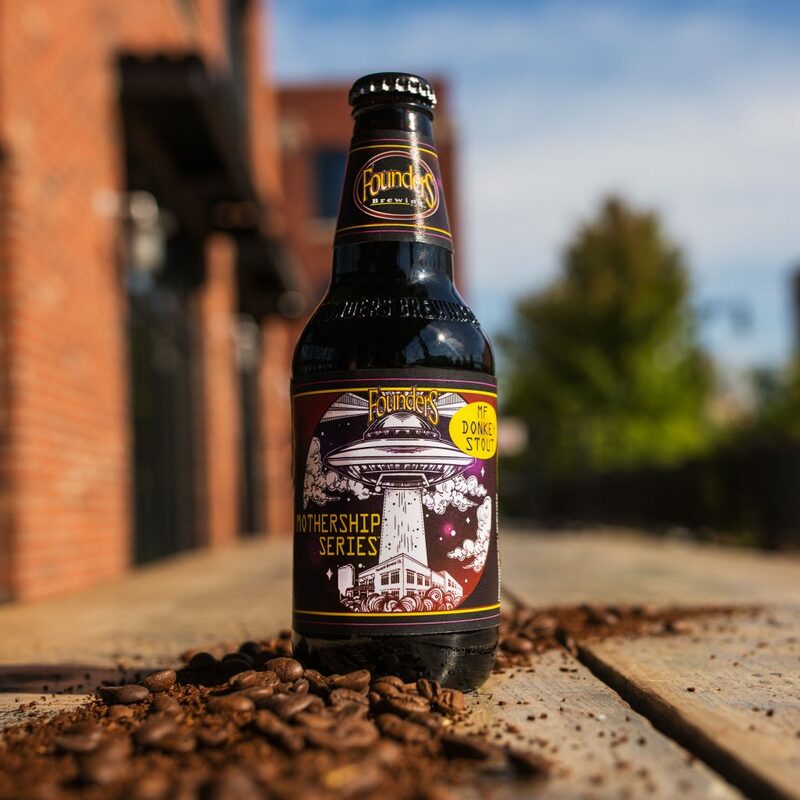 Roasted, bold and perfectly balanced with just a hint of sweetness, it fits right into our esteemed line of coffee beers. 7.5% ABV 55 IBUs. MF Donkey Stout was an immediate hit when we first released it in our taproom a few years ago. It’s since made a return to the taps annually, typically for our annual Black Party. This marks the first time the beer will be bottled. MF Donkey Stout will be available exclusively in our Detroit and Grand Rapids taprooms in 6-pack bottles and on draft beginning on September 28. It’ll have a suggested retail price of $12/6-pack. Red’s Rye IPA and Sleeper Cell precede MF Donkey Stout in the Mothership Series. Look for more details about the beer on Twitter, Facebook and Instagram closer to the release. Imagine reading this information days, or even weeks, before anyone else. Join the Cadre to be the first to hear our latest news, served up straight from the brewery. Cannot wait for the MF Donkey Stout… Sounds GREAT!! !